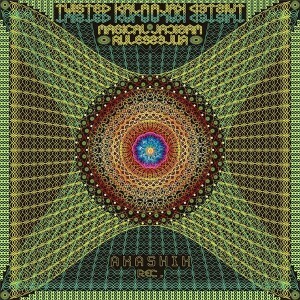 Akashik Record presents their latest transmission, Magical Rules, a new release from Twisted Kala, a well-connected DJ and producer originally from France who now divides her time between Portugal and Goa. Building on dark psychedelic themes with contemporary hi-tech sound patterns, this release is a high-vibrational tonic for deep journeying into inner worlds. Mastered by Rodrigo Lastra AKA Galactic Brain at Galactic SoundLabs, Mexico, with artwork by Elian. MP3 Download | FLAC Download | WAV Download · Download count: 9,722.
i Just love you gy’s! You gaved me the Heaven on Earth! i Can hear the wales and dolfins, yelling sweet, to mamy, who made them! i Hear so good sounds crying goodby, for the next one, and so on. Just take one issue from me! a big huge lesson! In youre musical inner-journey and outther-journey! Be positif on all levels! And a negatif journey, is not what you need. Really good release, I like it! Super nice kala! u’r sound now is getting better n better. keep it up. I thought I would need to do DMT, but it turns out if I hold a strobe to my eyes in a dark room whilst this is on loud, that I can trip pretty well and then make a cuppa without having to negotiate any ethereal guardians or deamons for three hours….